I have worked with Wayfair a while back when they were still CSN stores, but was excited to work with them again. We have received so many items from them from many categories on their site. We have gotten a Doll, George Foreman Grill, Exercise gear, Britax seat, and a Paula Deen Pan (that actually made us buy the whole set!). I have loved everything and this time was no exception. 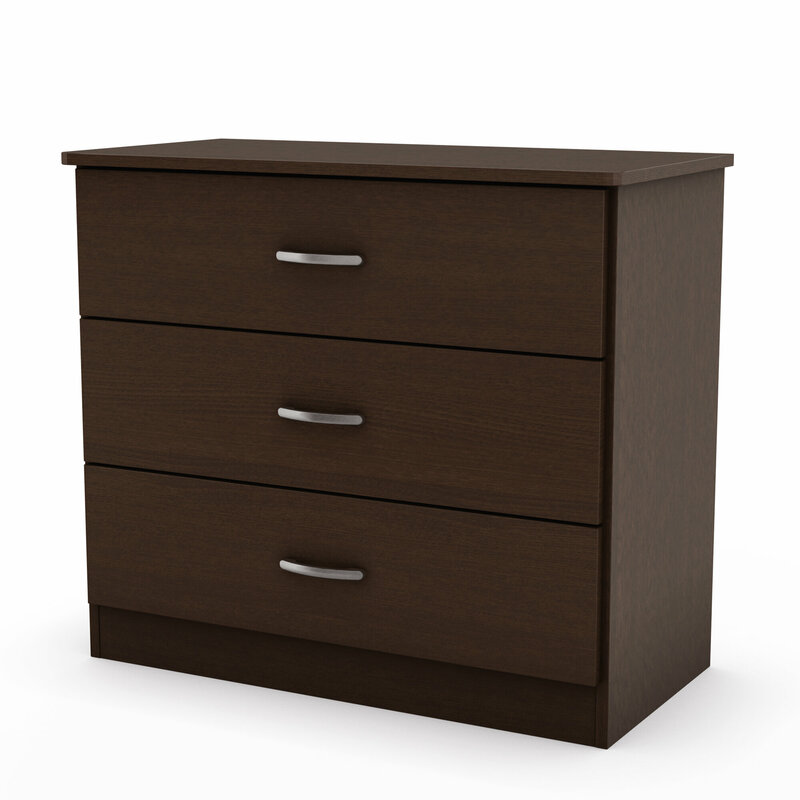 This time we got from their All Modern site and we received the South Shore Libra 3-Drawer Chest. Even though it looks daunting, I promise it's not! The first step is putting the drawers together and that is truly the longest part. This part was probably the easiest. The tracks just hammered into place (with a tool so they didn't get ruined) and then everything just locked together with pieces. it's 30" wide so has a good top space. How his setup looks! His Scentsy Buddy and a stuffed animal, his sleepy turtle, baby monitor and a few disposable diapers for night time. With a new baby coming and them having to share a room after a few months time there needed to be a new chest in my son's room. We had an old one in there, but it had small drawers and just wasn't working anymore. This one looks much more modern and is bigger than the last one. I have some clothes and wool (for our cloth diapers) in there now, but once baby comes this will mainly be for new baby's clothes. It's nice to have a nice storage solution in his room. It's not bigger than the old chest around, so it fits there perfectly. Just the drawers are bigger and deeper! Wayfair has so many different kinds of items that it's too hard to even list a millionth of them! But they have some categories like Lighting, Bed & Bath, Home Improvement and so so so much more! Price: This chest is what blew me away. It's just $73.34 with free shipping!! You truly can't beat that and the quality seems pretty good to me! It does look daunting! Do many pieces. But it turned out real nice. great looking piece. love the color.